I’m asking you this question with the belief that most marketers should carefully craft their plan. That’s not to say there aren’t plenty of established templates and tools for building your marketing program but those will only take you so far. And you might be headed in the wrong direction. As a partner in a B2B Marketing Agency based in Atlanta, I’ve worked with dozens and dozens of clients and I can honestly say that no two were exactly alike and neither were their marketing landscapes. Each brand is unique and so are their products and services, customer segments, competitive positioning, budgets, challenges, and opportunities. Since I’ve already asked you a question about your marketing strategy, I’ll ask a few about your website. Is your website in need of a refresh? Is it at the center of your marketing efforts? Is your website attracting and engaging your targeted buyer segments? Are you satisfied you are getting the traffic and leads you need to grow your business? If you answered NO to any of my questions, then you should consider a customized Growth Driven Design (GDD) process that focuses first on the most important factors that are not working as they should on your current website. Before you rethink your website, make sure you have a well-planned growth strategy in place. Websites rebuilt or refreshed with a Growth-Driven Design methodology are launched 37% faster than traditional methods. Within six months, they generate 14% more visitors, 17% more leads, and 11% more revenue on average than traditional websites. You may prefer an “off-the-shelf” strategic planning methodology. But if you believe, like I do, that you should explore a more custom-crafted approach to your marketing strategy and action plan, please allow me to introduce you to something we call the Microbrewed Marketing Workshop. During and intensified day of engagement, MicroBrewed Marketing Workshop participants learn, share, and apply fresh ideas that result in a custom-brewed strategic plan. And each team leaves with actionable insights that will help them outthink and outperform their competition. 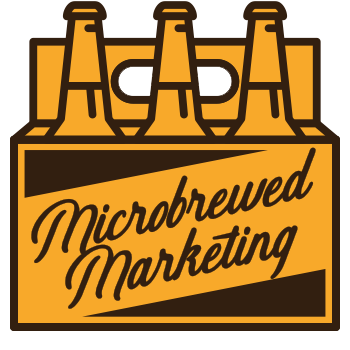 If you are in need of a new marketing strategy that attracts more qualified prospects, drives more leads, supports your sales efforts, and builds your brand, then I encourage you and your team to join us at our next Microbrewed Workshop. https://microbrewedmarketing.com/wp-content/uploads/2018/05/assembly-line.jpg 317 843 Billy Mitchell https://microbrewedmarketing.com/wp-content/uploads/2018/04/microbrewed-marketing-logo.png Billy Mitchell2018-05-25 18:51:232018-05-25 19:12:22Factory-Processed or Custom-Crafted: Which Approach is Best for Your B2B Marketing Strategy and Website? Microbrewed Marketing April 2018 Recap Are You Organizing Your Customer Relationships To Boost Sales?